From simple maintenance check-ups to complex repairs, you can trust Air Products & Services to take care of your HVAC troubles. Our repair and maintenance services will help bring your home and system back to quality comfort levels. We take pride in maintaining control over all of our projects and look forward to serving you in your home or business. Your HVAC equipment is necessary for home comfort and we know the frustration when it isn’t working properly. Our experts are committed to providing quality heating, cooling and air quality system repairs at all times. Whether your air conditioning system has broken down, your furnace needs repaired or your thermostat is malfunctioning, our technicians are just a call away from maximizing your indoor comfort. You can trust our NATE-certified technicians will provide honest repair solutions to solve your HVAC troubles. Your HVAC unit requires a certain amount of upkeep to preserve its lifespan. One of the most effective ways to reduce the number of repairs on your system is to invest in regular maintenance. Fortunately, at Air Products & Services, we have planned maintenance agreements that can save you from expensive repairs or replacements in the future. To ensure that your heating or cooling systems are working their best, our trained team will visit your home and perform the necessary maintenance tasks. 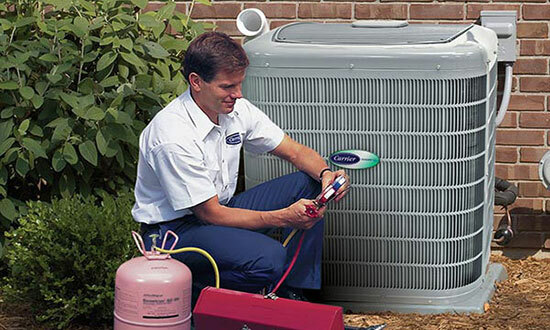 For more information on how we can repair your HVAC units, contact Air Products & Services today. You can also inquire about our planned maintenance agreements that will help you save more in the future. Call our professionals at (818) 989-2030 or submit an online form.